All coaches (head and assistants) must obtain CEP certification by December 31 of the current playing season. Click here to locate and register for a CEP Clinic. Additionally, all coaches must complete the appropriate age-specific module BEFORE beginning any on-ice or off-ice activities with youth participants. Module cost is $10. Click here to access the age-specific modules. Coaches must be members of USA Hockey in order to register for clinics or modules. Click here to register for the current USA Hockey season. 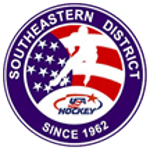 Click here to request a duplicate copy of your USA Hockey registration confirmation page. 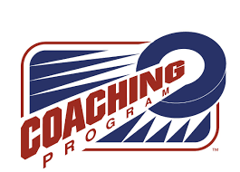 All coaches must adhere to the new Coaching Education Program guidelines. The USA Hockey Skills Progressions Manual now includes links to skills videos. This manual covers a variety of age-specific skill progressions and teaching points for all age categories, from 8U to 16U. The USA Hockey Mobile Coach App is the perfect tool for your season. 1. Streamlined navigation makes accessing content easier than ever. 2. The popular ADM activity tracker is now in the palm of your hand. 3. Add videos, skill manuals and practice plans to your favorites list for quick access. 4. Use search to find the perfect coaching resource. Mobile Coach is a Free Download! Mobile Coach is a free download. For more information, please visit the Moble Coach webpage. USA Hockey and flexxCoach have teamed up to bring you the latest in online learning for coaches and players - the USA Hockey Learning Center. Access the Learning Center and learn from the best coaches in the game! View a full range of animated drills, articles, video "tips and lessons" that will help make you a better coach or player. You will be able to enjoy both free and premium (paid) content all in one easy to navigate location. Check out the USA Hockey Learning Center and learn the skills, tactics, rules and strategies that make hockey the most exciting sport on the planet. USA Hockey Coaching Education Program and flexxCoach University present Level # CEP recertification. All coach must attend a clinic to receive Level 3 certification.